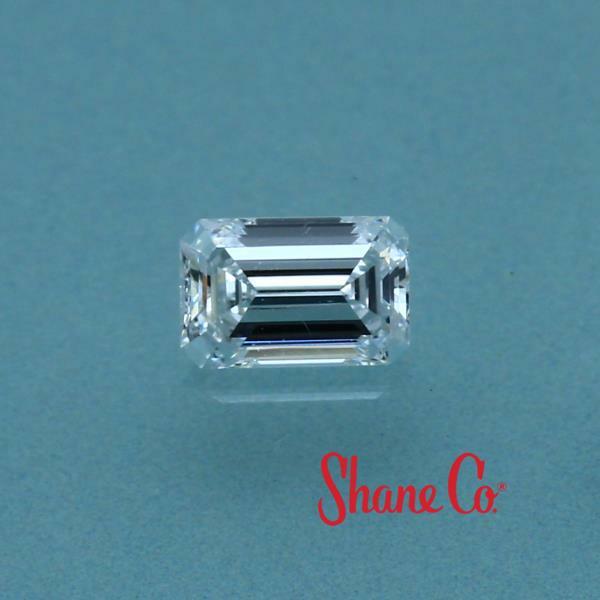 Emerald Cut Diamond | Shane Co. 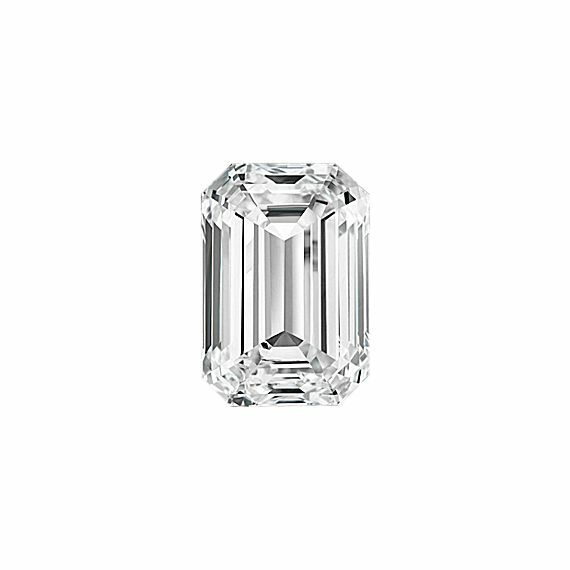 This Emerald Cut diamond contains slight inclusions that are rarely seen with the naked eye and often noticeable at 10x magnification. The absence of hue makes this "colorless" diamond very rare. A "Very Good" cut diamond offers abundant fire and sparkle, and reflects almost all of the light that enters it.